Did you know that waste is a huge problem in modern day business? It’s true, companies are producing loads of waste, and it’s damaging them. Likewise, they waste other things that can hurt them too. Take a look at this article to find out how you can reduce all types of waste in your business. It’s surprising how much general waste a business can produce during a week. Lots of your staff may bring things to work to eat on their lunch break or have as a snack. Or, they go out to get coffee and bring the cups back in. What this results in is you having loads of waste in the bins in your office. This may not seem like a big issue, but, it can be bad. You contribute to global warming by not recycling this waste. Plus, it can cost you money to have the waste removed every week. Additionally, it’s just not very hygienic or pleasing on the eye. To counter this, you should introduce a recycling policy at work. Instead of throwing things in the trash, you recycle everything you can. This includes any wasted food, helping your business be way greener. Most businesses will waste so much paper every single day. People will print things out, or jot notes down, and just waste so much. The problem is, using up loads of paper is awful for the environment. It doesn’t make your business look good, and, it costs money too. So, start thinking of ways to reduce this waste in your business. The good idea is to stop getting mail delivered to your office. Instead, you can get it sent to a different address, scanned, then emailed to you. If you want to learn about a mail forwarding address - click here. They can be helpful and will reduce the paper your business uses. Likewise, instead of sending letters, you should just email clients. It’s the modern way, and you’ll have no need to print things out. If you need to make notes, just make them on your phone or computer. They won’t get lost, and you stop using loads of paper. It’s not just physical waste that you should cut down on, there’s other waste too. For example, think of all the wasted time in your business! Companies will waste so much time in their office every day. Each second you waste is a second that you could’ve spent trying to make money. We all know the saying ‘time is money’, so, ensure you stop wasting it. Make your office more productive and encourage your staff to work efficiently together. This will reduce the time you waste! Waste is a real problem for all businesses. It can give you a bad reputation if you’re creating loads of physical waste. 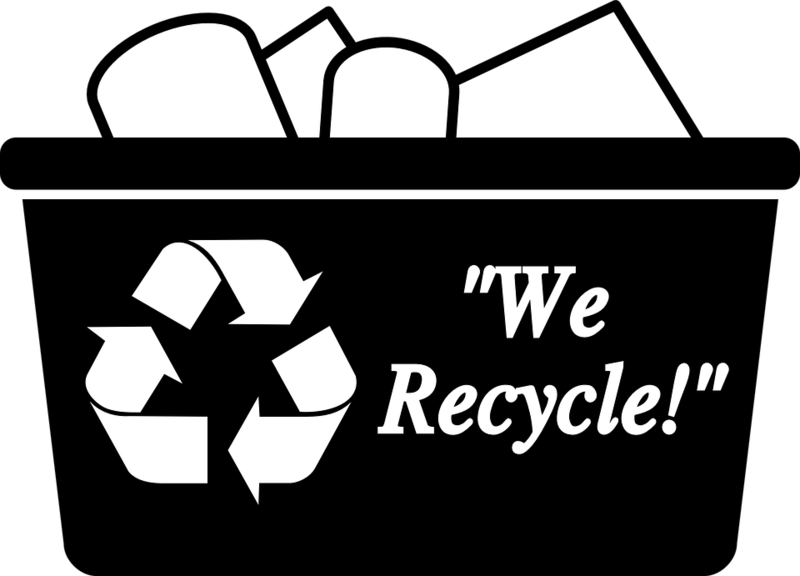 Cutting down on general and paper waste can make your business look more environmentally friendly. This boosts your reputation amongst consumers! Whereas cutting down on wasted time can improve your business dramatically. It leads to an increase in productivity and maximises your output.